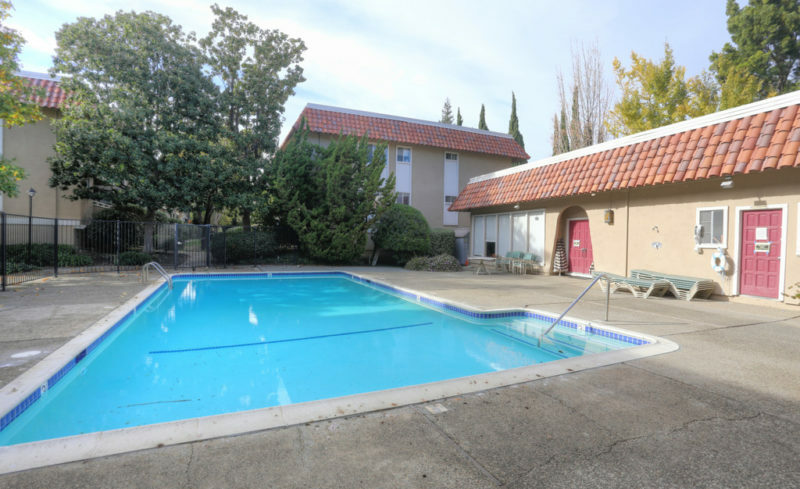 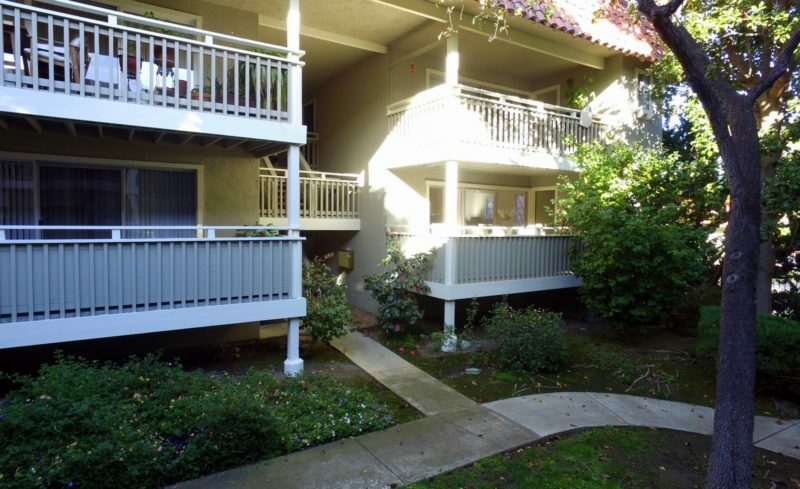 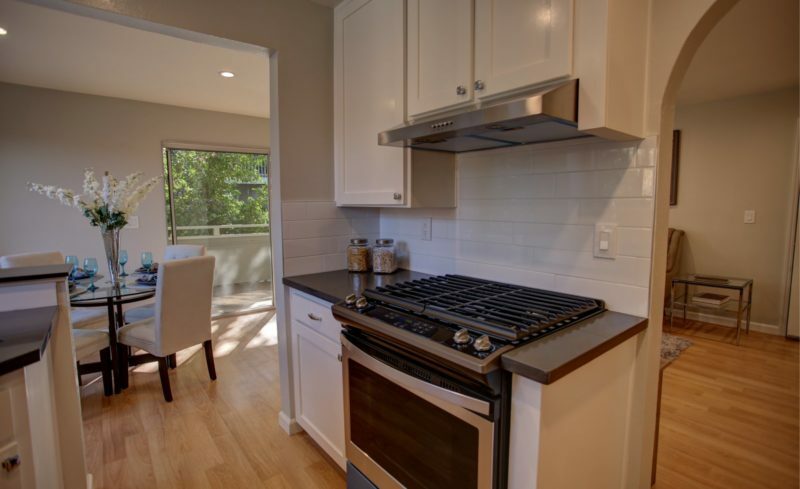 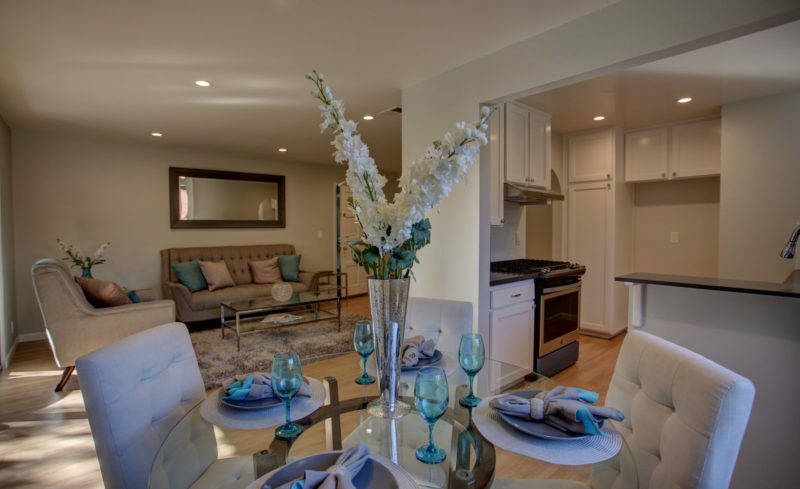 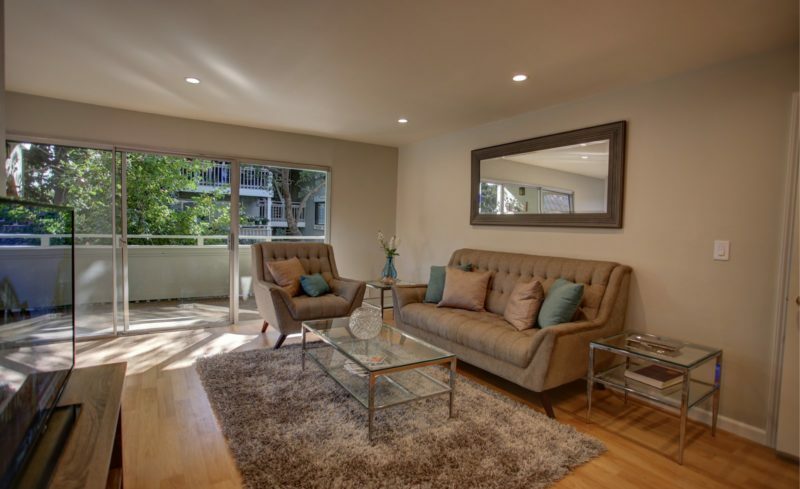 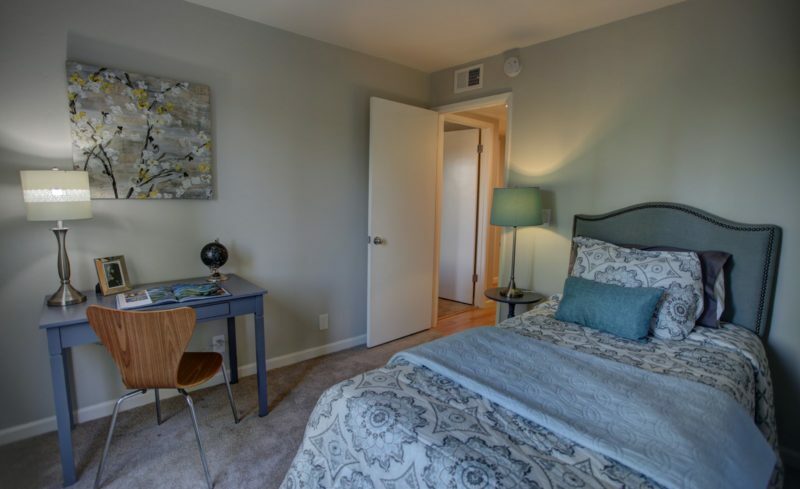 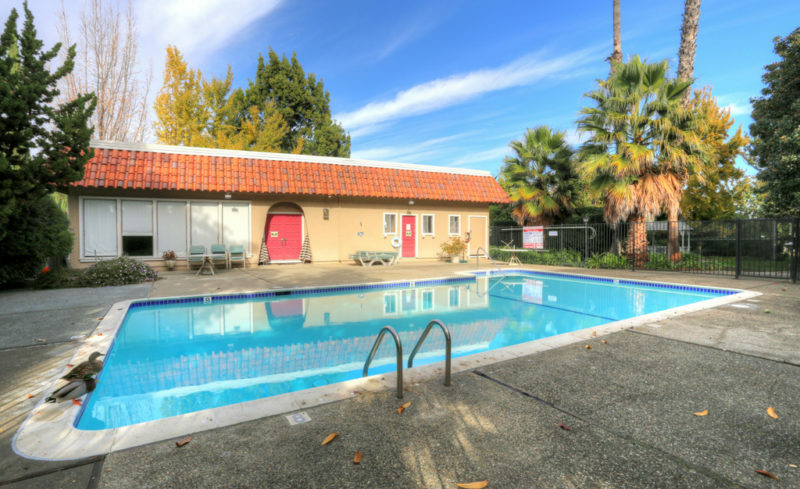 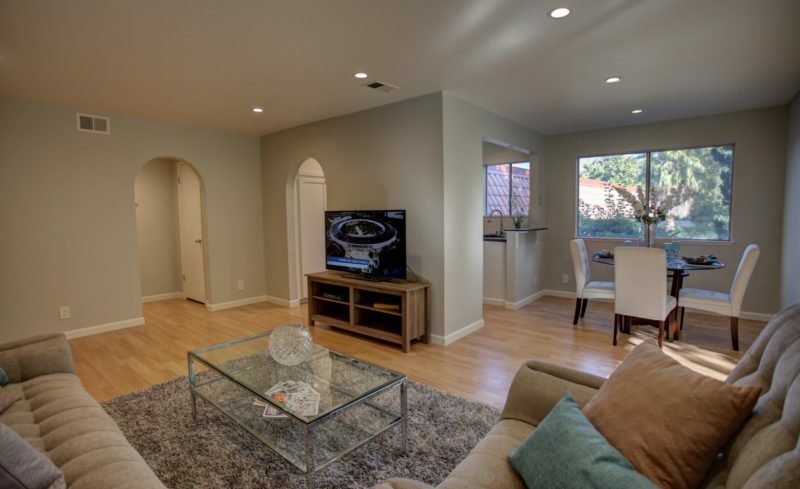 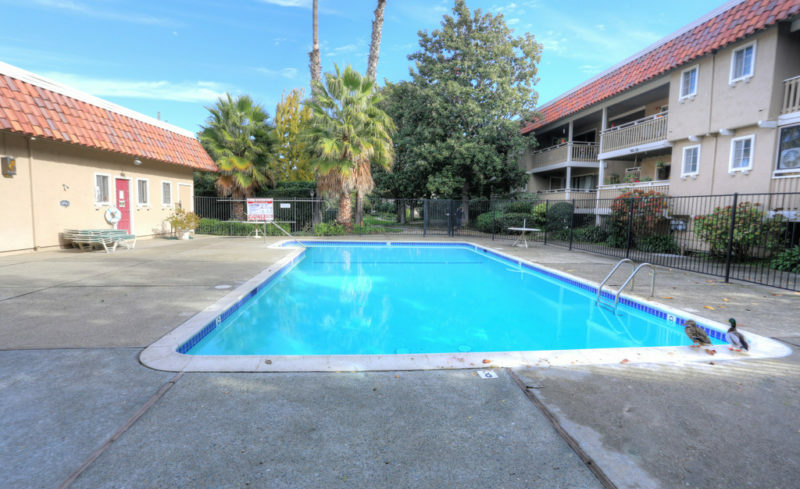 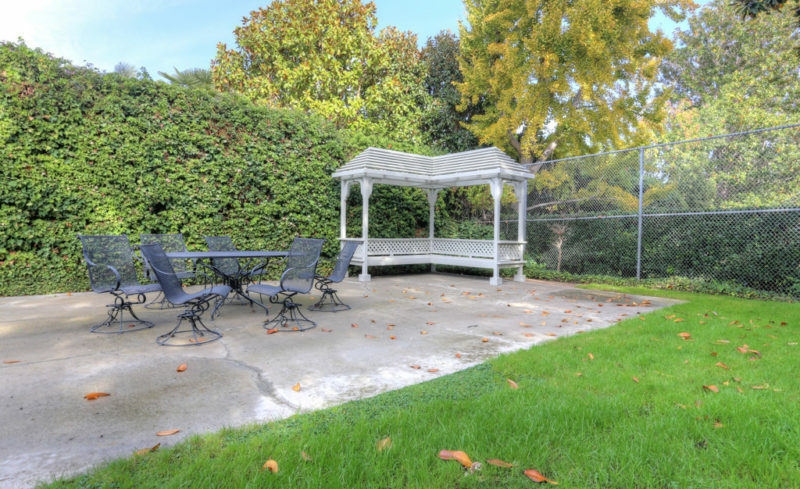 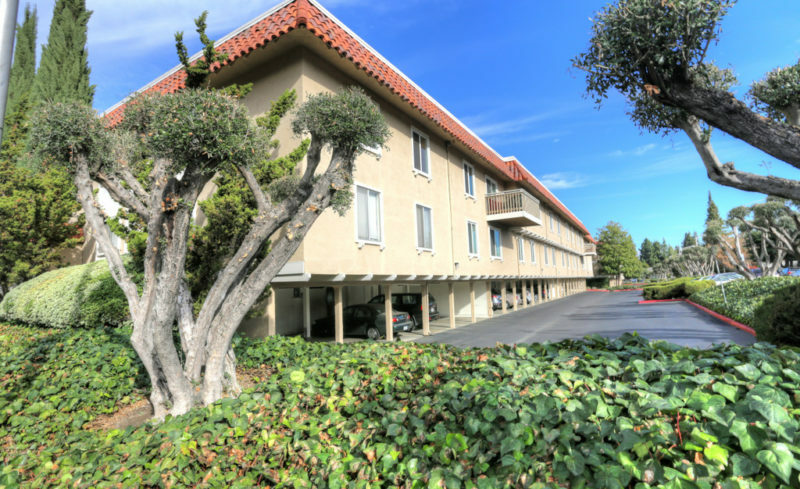 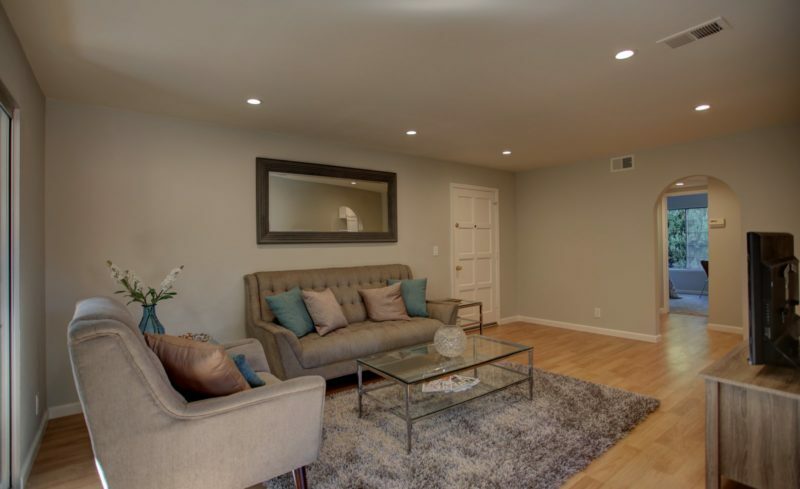 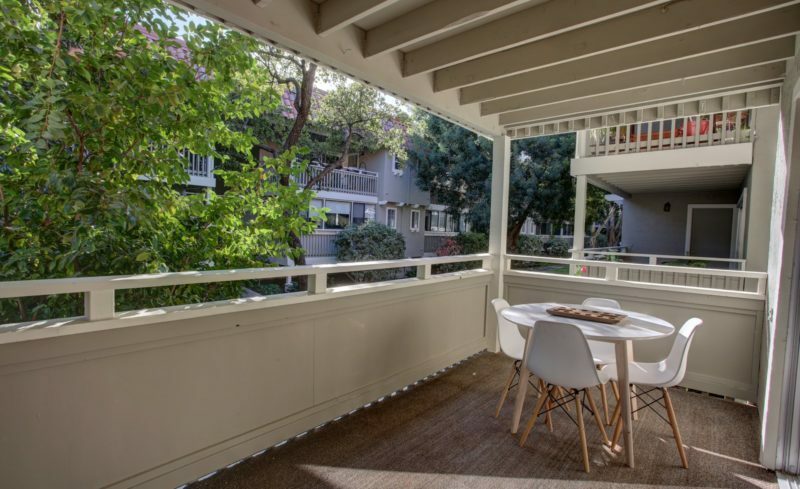 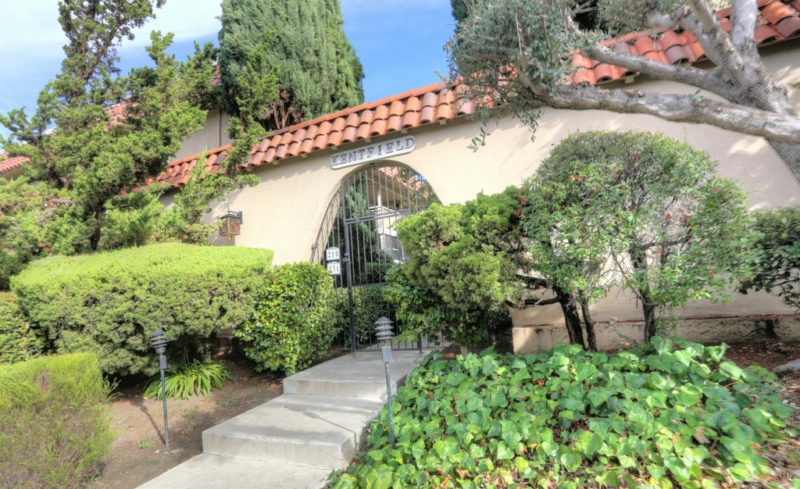 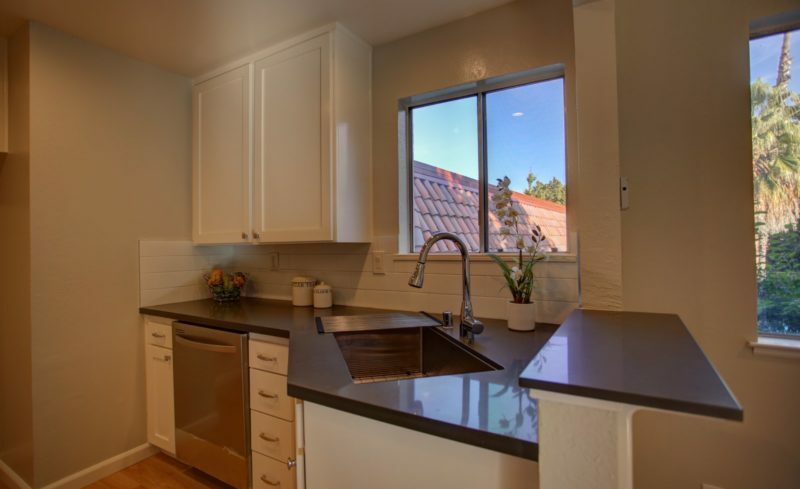 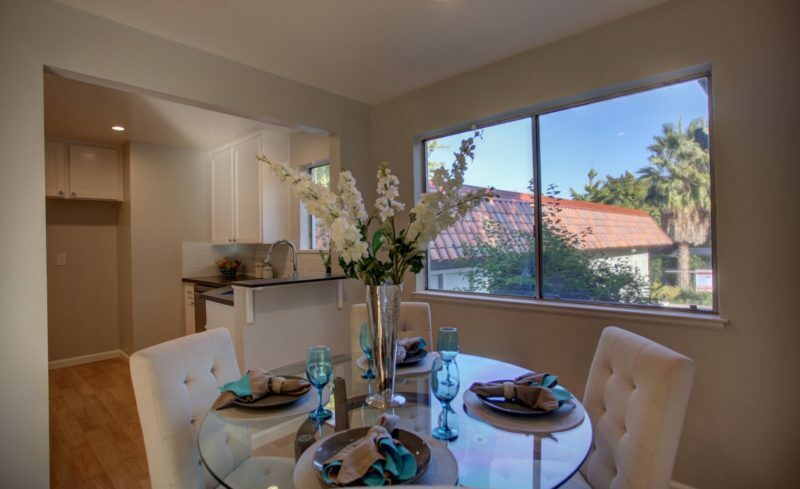 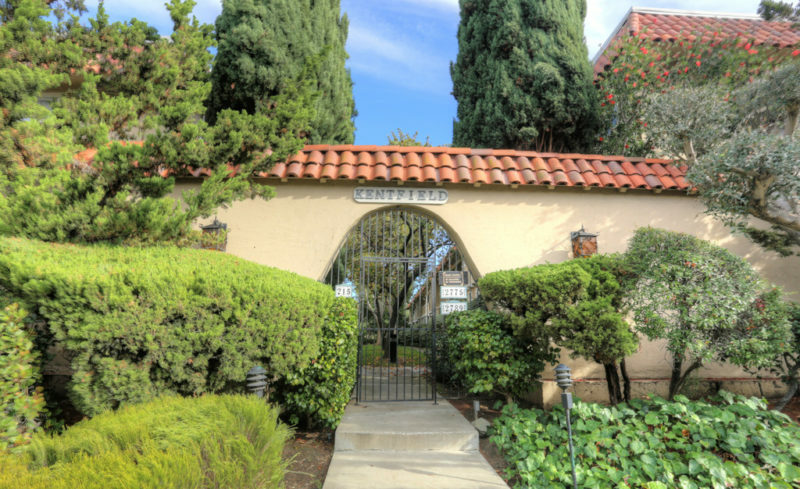 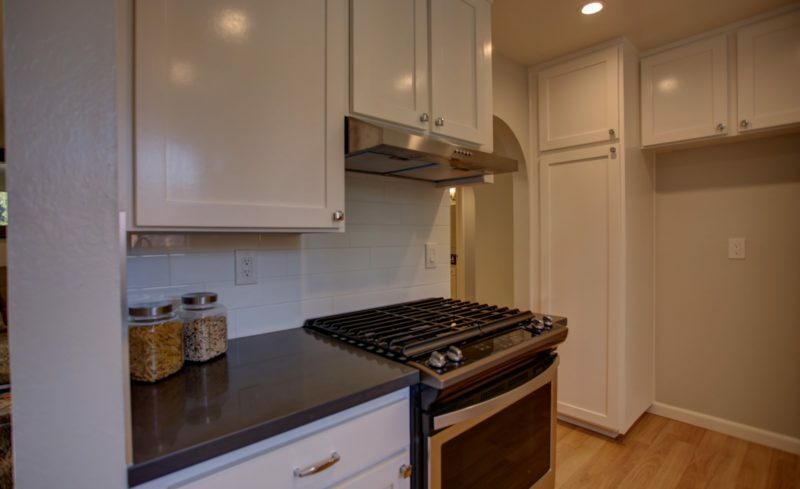 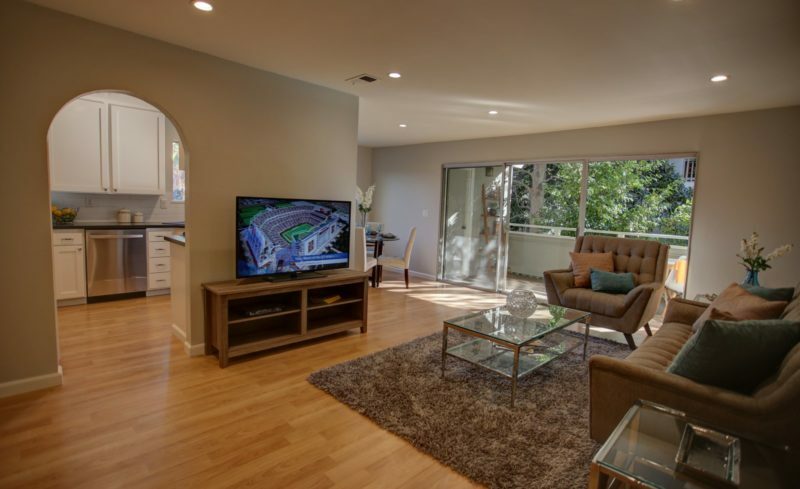 Updated and stylish Kenfield 2 bedroom 2 bath condo with CUPERTINO SCHOOLS and inside laundry facility. 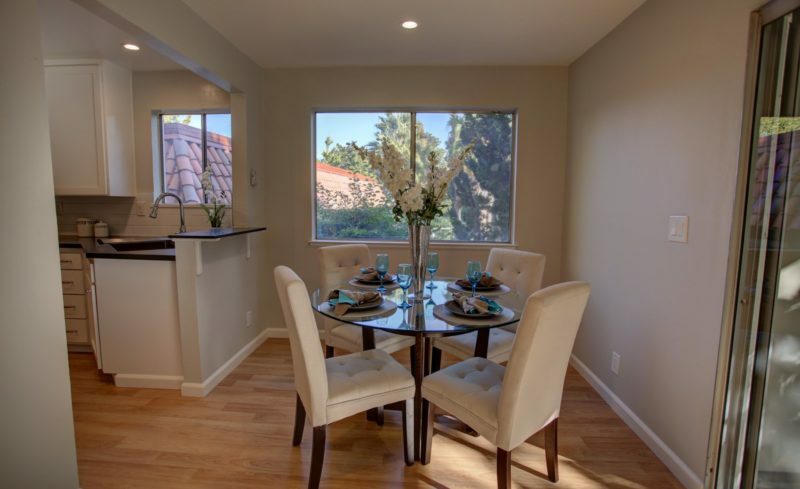 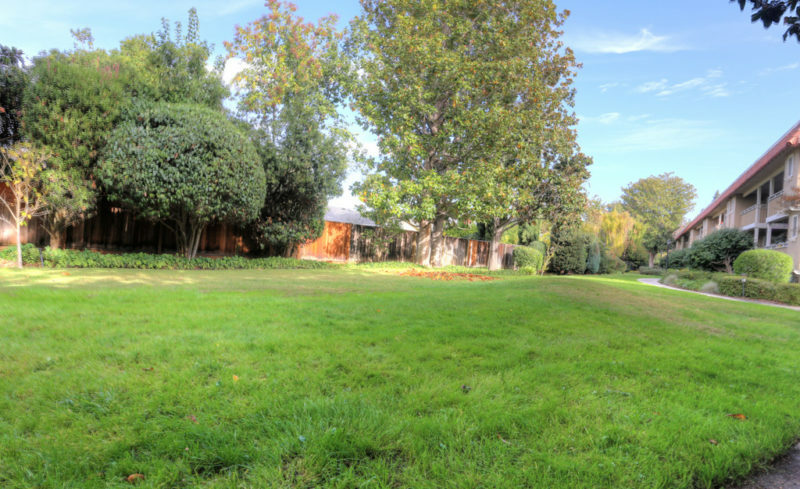 Rare END-UNIT, with additional windows in kitchen, dining and master bath. 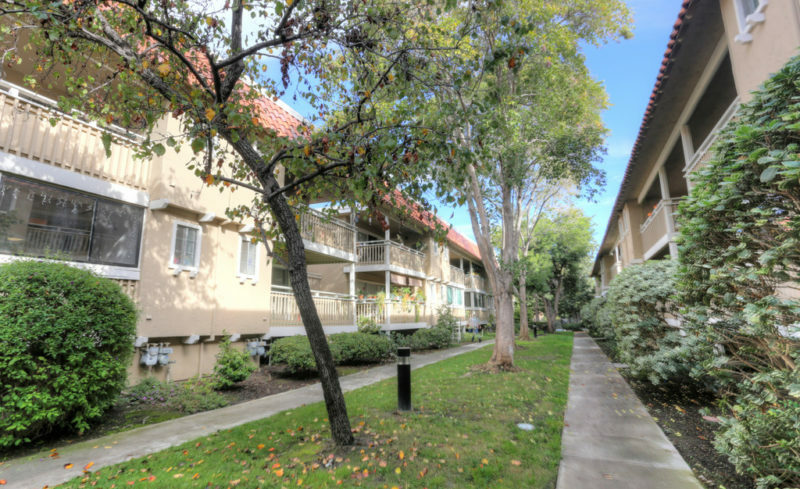 Bright unit with open kitchen, dining area, spacious living room, all overlooking a large patio/balcony. 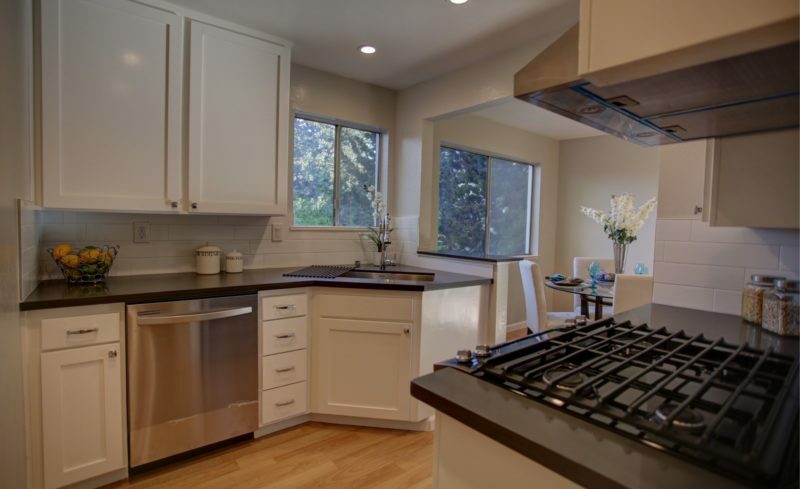 Kitchen features shaker style cabinets, quartz counter tops, full tile back splash, LED recessed lighting, under mount stainless steel sink, and stainless steel gas range, dishwasher, and hood vent. 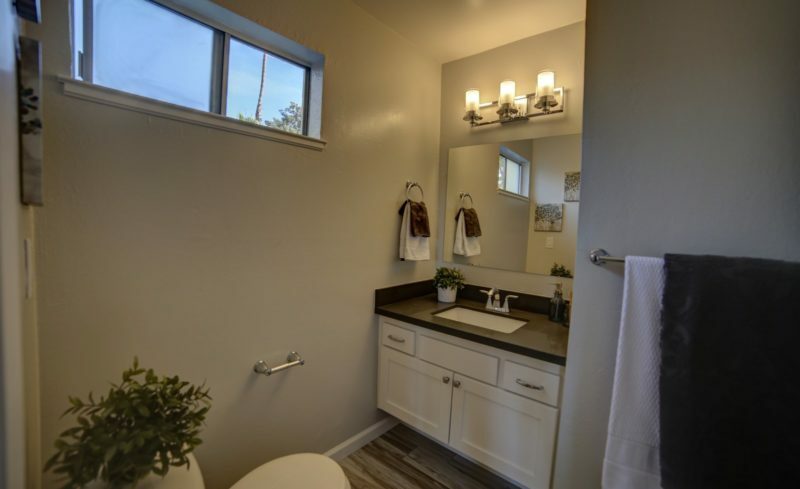 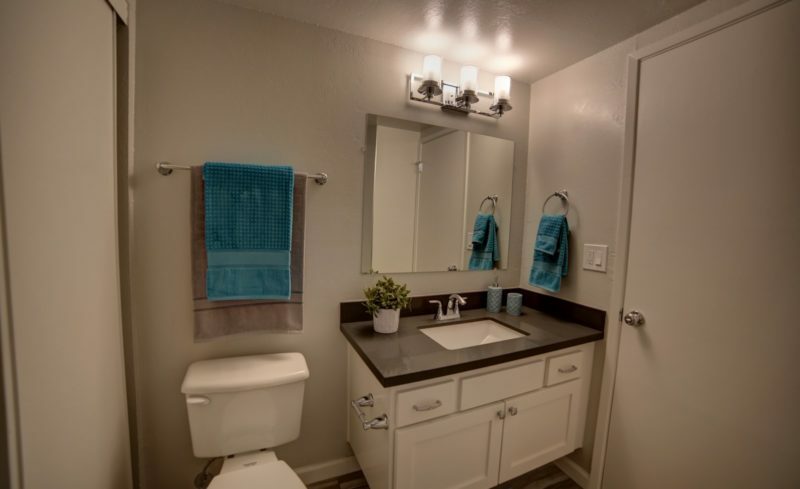 Bathrooms have been updated with new tile flooring, tub and shower surround, new tub valve and trims, new faucets and hardware, and new quartz counter tops. 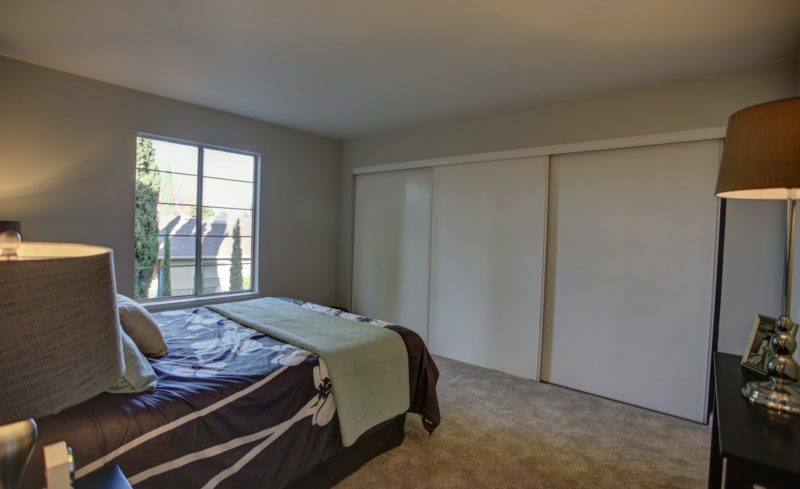 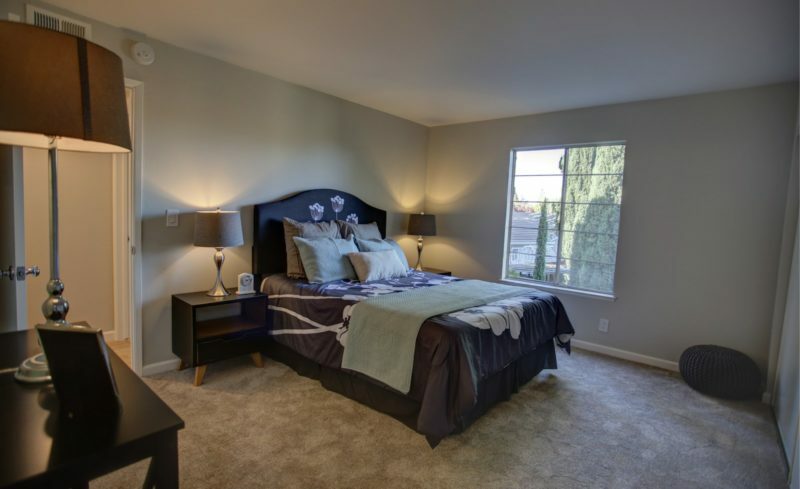 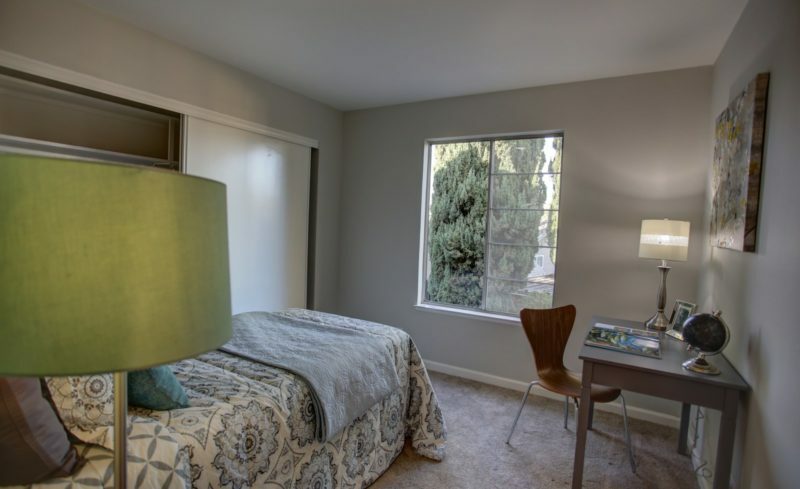 Bedrooms feature new plush carpeting and large wall closets. 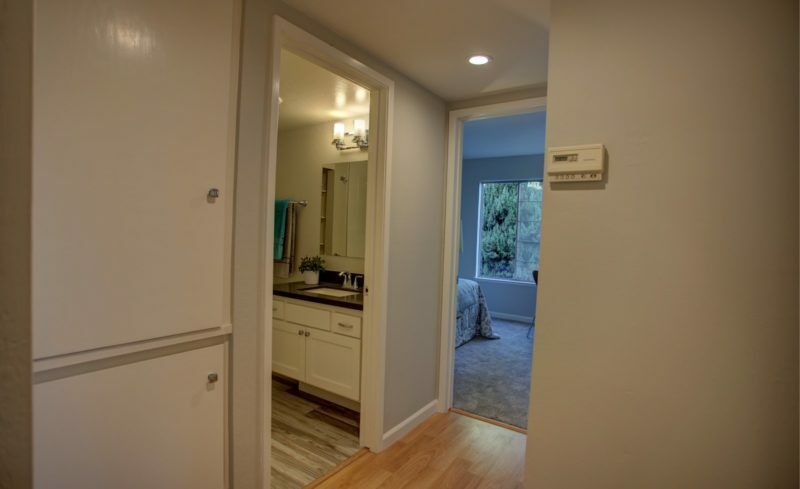 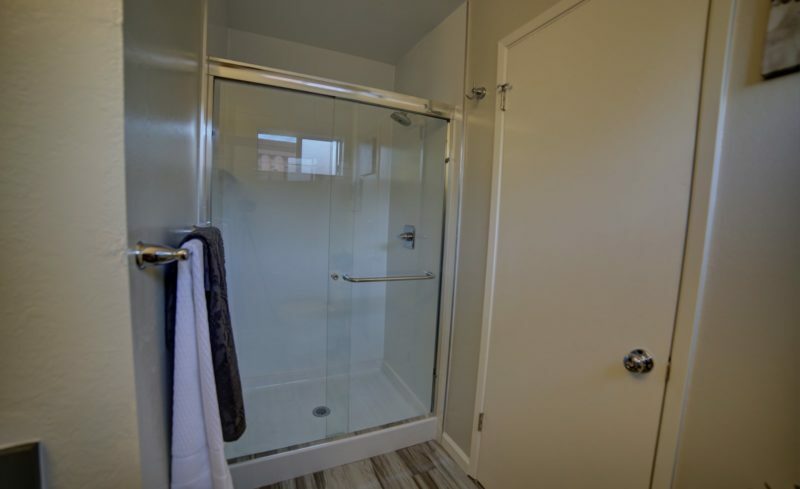 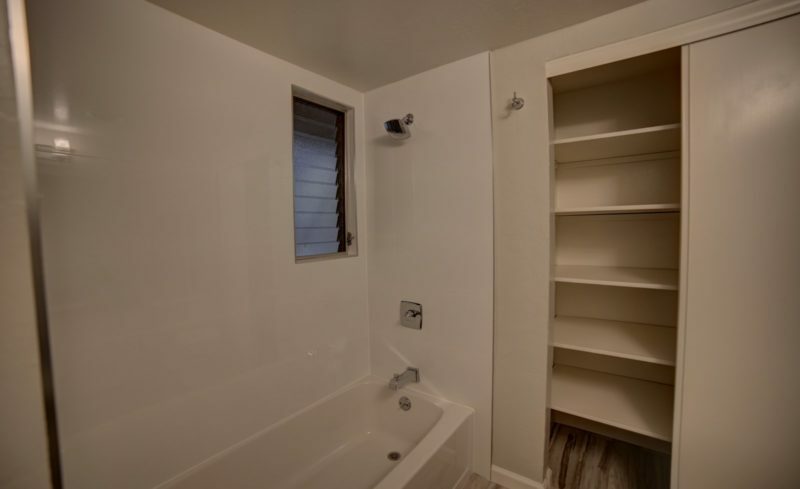 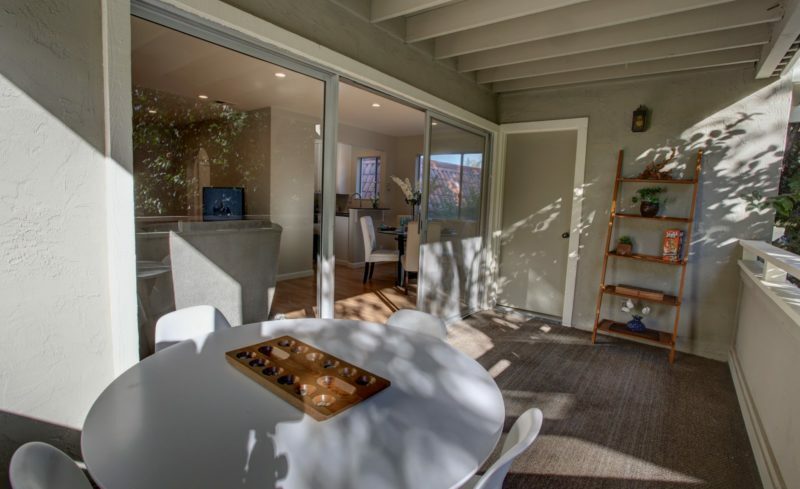 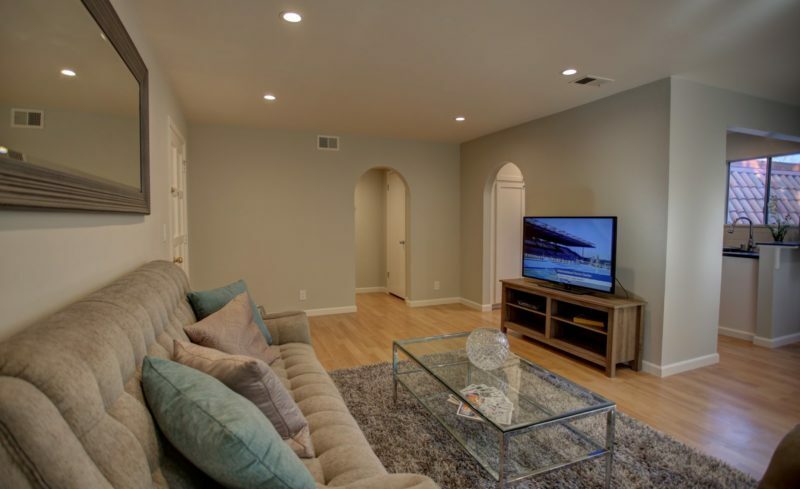 Additional features include LED lighting in living room and hallway, private utility room with built-in shelving and horizontal loading washer and dryer, gas cooking, laminate flooring, new carpeting, downstairs storage closet (approximately 70 sq ft).